Who Wants To Be An Entrepreneur?. Home » News » Who Wants To Be An Entrepreneur?. 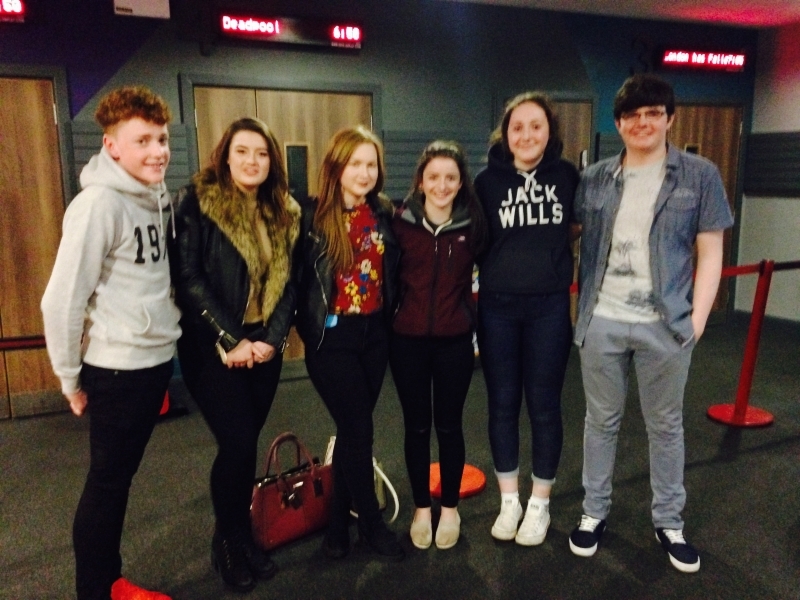 TY students and Hazel Gillen, attended the launch of Comhairle Na nOg DVD series, 'Who Wants To Be An Entrepreneur? ', on the 3rd of March 2016. This event promoted youth enterprise and innovation. It featured interviews from many different entrepreneurs, including international renowned young entrepreneur Jordan Casey and professional golfer, Shane Lowry.The event was attended by the interviewees, guest speakers, the business community and, of course, budding entrepreneurs from Killina. Congratulations to Sarah White, TY student of 2014/2015, that had a joint leading role in this production and brilliantly co-hosted the event on the evening. Left to right: Paul Lynam, Hazel Gillen, Emma Darby, Claire Kinahan, Ellen Buckley, Jessica Ryan,Clodagh Thompson , Ciara Flynn Murphy and Davin Cronly.